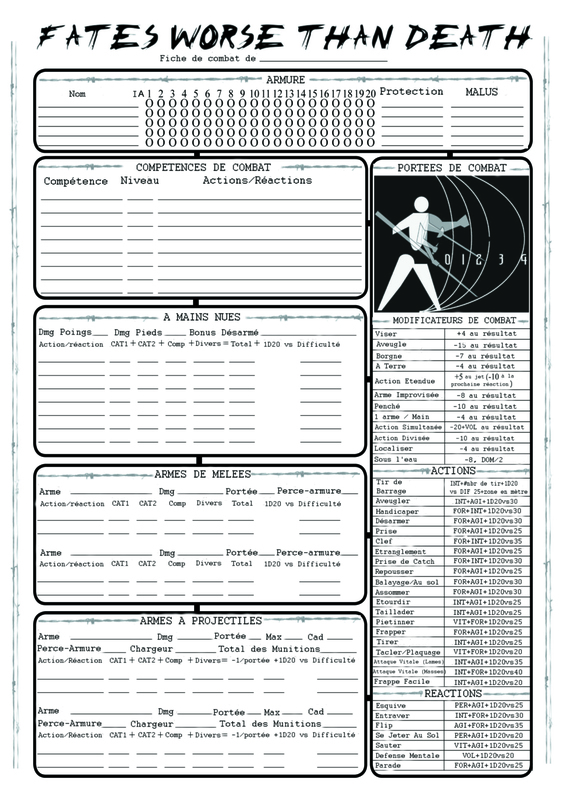 Turkish translaton of the FWTD Character Class personality test. “Espérer le meilleur… Etre prêt au pire” by Amandine Simonnet. French translation of Ch. 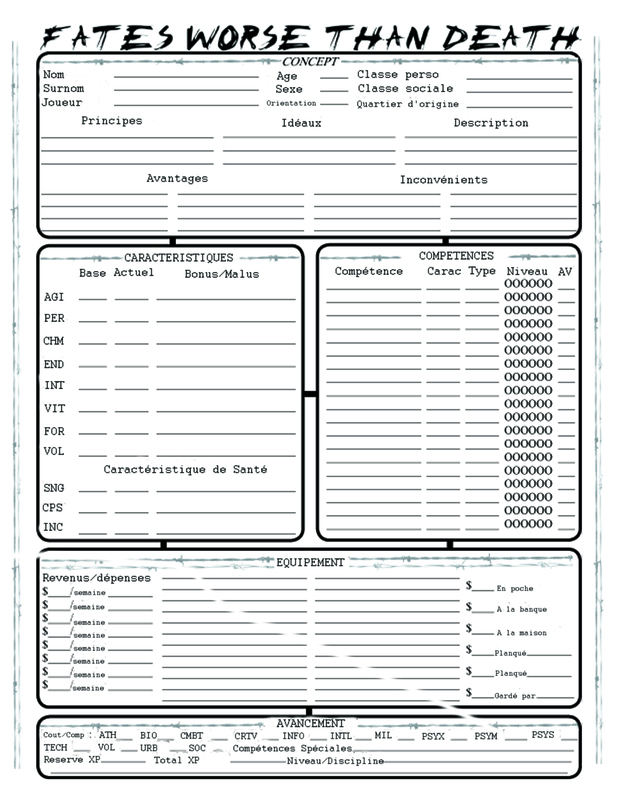 1 (Character Creation) of FWTD (5MB pdf). French translation of Ch. 2 (Organic Rule Components) of FWTD (1MB pdf). French translation of Ch. 3 (Black Market) of FWTD (1MB pdf).